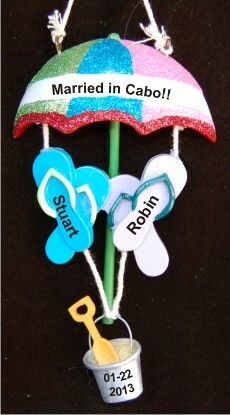 A fantastic way to celebrate the fun of your beach wedding, this ornament captures the joy and fun of sand and sea. 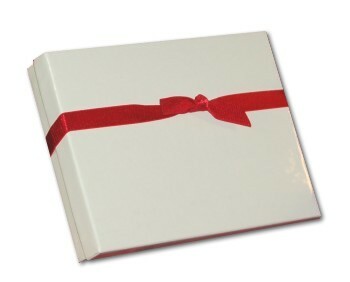 Personalize with the bride and groom's name, the year and a custom heartfelt sentiment. The Blissful Beach Wedding ornament measures 5"H, and arrives in our black velvet pouch, ready to make a great memento.